The DVD should be available in record shops and online shops, e.g. amazon! 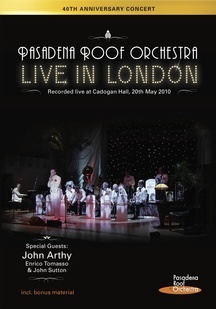 Enjoy a full concert with lots of Pasadena Roof Orchestra classics, special tunes arranged by pianist Simon Townley and the well-known band's humour!